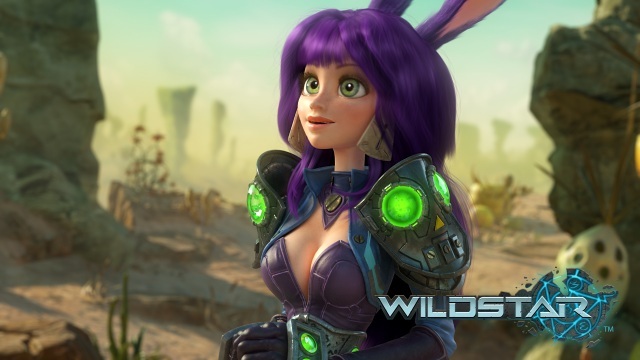 It’s day 3 of the epic WildStar Week here at GodisaGeek.com, are you getting pumped up for the release of WildStar next year yet? I know we are. Following on from Monday’s interview with one of WildStar’s main stars, Sarge, we’ve got an interview with a character who is at the absolute opposite end of the macho scale, Liara the Aurin. She can be seen in the trailer loving all the flora and fauna of the planet our trio have landed on; that is until the environment gets nasty. When the surroundings go bad, so does Liara. 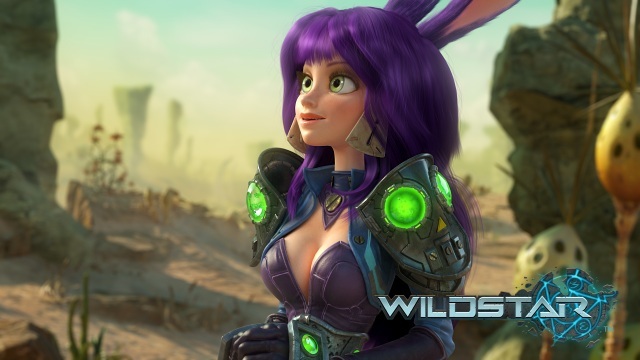 Before we get on with the interview with Liara, here’s a chance to meet her in the awesome trailer for WildStar, if you’ve already seen it, why not watch it again? Q: Alright, Liara, thanks for talking to me today. Let’s jump right in. Can you tell me about your ears? Q: Well, yes. My readers are particularly interested in your ears. A: [Sighs with frustration] Really? That’s your question? A: Sorry. I don’t mean to be a Negative Nova, but it seems like everyone always wants to talk about my ears. I always catch people looking at them, too. It’s so rude! I mean, it’s like they’ve never seen a pair of ears before. Q: Well, they are, er, breathtaking. A: [Blushing] They are? Do you really think so? I mean, I’ve always thought they were one of my best features, and I do my best to keep them well brushed. Q: It definitely shows. Are all Aurin so well, uh, endowed? A: Well obviously everyone’s a little different. But yes, we’ve all got ears. Tails, too. And since Arboria is covered in forests, things like ears and tails come in pretty handy. You ever try frolicking on the branches of a tree without a tail? I don’t recommend it. Q: Arboria? Is that the planet you’re from? A: The one and only! You’ve never been there? It’s the most wonderful place in the whole universe! There are flowers everywhere, and the forests are the most beautiful things you’ve ever seen! At least, they were until…uh…. Q: Go on. Did something happen there? A: Yes, something ‘happened’ there. The Dominion showed up and ruined it all! Q: Sounds like it makes you pretty angry. A: Angry? They make me absolutely furious! They just show up one day without an invitation, and then they start killing our forests with these great big, ugly machines. Some of those trees were personal friends of mine! I don’t like thinking bad thoughts about anyone, but sometimes I wish that all of those Dominion bullies would just…just…well, just fall down and die! Q: I can see this is upsetting you. Let’s talk about something else. You’re a scientist, right? Tell me about that. A: Well, being an Aurin and growing up on Arboria means that I know a lot about nature. And when we joined the Exiles I thought it made sense to put all of that knowledge to good use. So I showed up at the Academy with a smile on my face and told them that I was ready to get to work and make a difference! Q: What kind of scientific equipment do you use? A: Well, the most important tool for any Academy scientist is the Scanbot. What a technological wonder! It’s like having a cute little robot friend that follows you around and does all of the really boring work like tissue collection and biochemical analysis, leaving you free to do the really fun things like studying ancient alien civilizations. No respectable scientist goes anywhere without it. Q: Speaking of science, I understand that you recently made a trip to planet Nexus. A: Oh yes! What an absolutely fascinating place! I was sent there by the Academy to study lifeforms on the planet’s surface, and I saw plants and creatures there that you just wouldn’t believe. And then the adventure really started! I really wish I could tell you more about it, but the Academy wants to keep it all hush-hush for now. Q: Sounds mysterious. I’m assuming you didn’t go alone. A: No. There were three of us. There was a human Explorer named Buck, and a Granok Soldier who was supposed to watch out for us but spent a lot of his time drinking beer. Q: Sounds like a fun group. What did you think of Buck? A: Buck? Oh, he’s a typical human. He thinks pretty highly of himself and makes sure that everyone knows it. I did my best to ignore most of what he said. Q: You don’t have a very high opinion of him? A: Oh, he’s fine. But you know those Explorer types. Always going places they shouldn’t be and getting the rest of us into trouble. Q: And how about the Granok? Did you two get along? A: The Sarge? Oh, sure. He’s just a big softie. I mean, he likes to talk tough, but deep down inside he’s really a sensitive guy. Q: Really? Are you sure we’re talking about the same person? A: Of course! You just need to get to know him. He tries to make everyone think that that he’s a big, mean mercenary who likes to fight and drink and blow things up, but there’s nothing wrong with him that I couldn’t fix with a big hug. Q: Rumor has it you three found an ancient Eldan temple down on the planet’s surface. A: You heard about that? That was supposed to be secret! Who told you? Q: I have my sources. A: It was Buck, right? I know it was Buck. Q: I think we’ve come to the end of the interview. That’s all we’ve got time for today, what do you think of Liara? She may sound cute and harmless but, as the trailer shows, (and as Sarge told us in the interview with him on Monday), she can certainly handle herself when the time calls for it. Let us know what you thought in the comments below this post or over in the forums where we can discuss in length about what we thought about everything in this interview, and more! 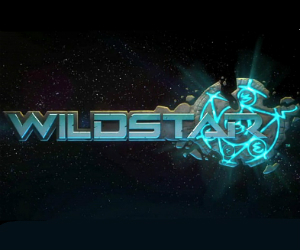 Be sure to check back tomorrow for even more exclusive content from WildStar Week here at GodisaGeek.com!